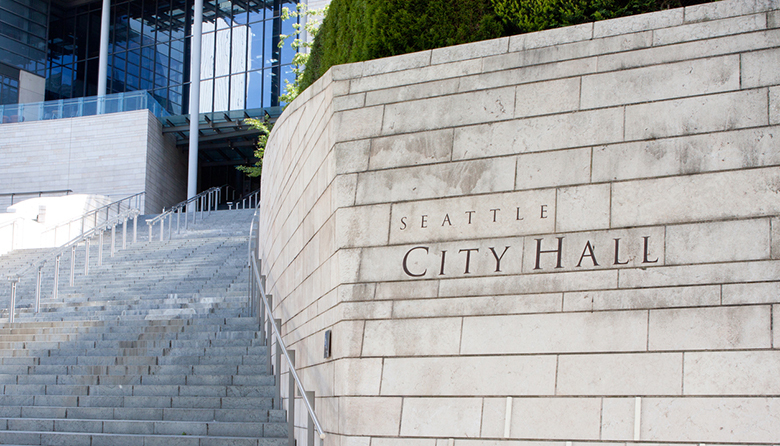 After a handful of tweaks Monday morning, the City Council gave its final approval Monday afternoon to the $5.9 billion city budget for next year. · Council member Mosqueda found alternate funding for her proposed 2% wage increase for the employees of HSD’s contracted service providers, so that it no longer required trimming back the planned expansion of the Navigation Team by three positions. The new funding came via the removal of a B&O tax exemption for nonprofit life-sciences organizations that receive federal funding. · Council members O’Brien and Juarez reached a compromise to resolve last week’s standoff over how to spend Sweetened Beverage Tax revenues. The Mayor’s budget left $270,000 of tax revenues unallocated in 2019; that money is now targeted for food banks. Juarez still voiced her disagreement with spending tax revenues on an educational media campaign, noting that the $250,000 currently allocated in the budget is a drop in the bucket compared to what beverage companies spend on advertising, but the compromise she and O’Brien reached also adds a proviso requiring that the city deliver a plan for the media campaign before its funding is released. · Council member Herbold’s proposed expansion of the Vacant Building Monitoring Program was amended. The new language eliminates monthly inspections for vacated buildings undergoing permitted renovations, and ends the need for monthly inspections three months after all violations are addressed. Council members Johnson, Gonzalez and Bagshaw still voted “no” on the program expansion, preferring the bill to go to Johnson’s committee for a thorough work-over before it is enacted, but given that it has already been amended to start on June 1 instead of April 1, the other six Council members felt confident that Johnson’s committee would have ample time to make any further adjustments needed.